October's Very Own limited edition Toronto Blue Jays Cap. 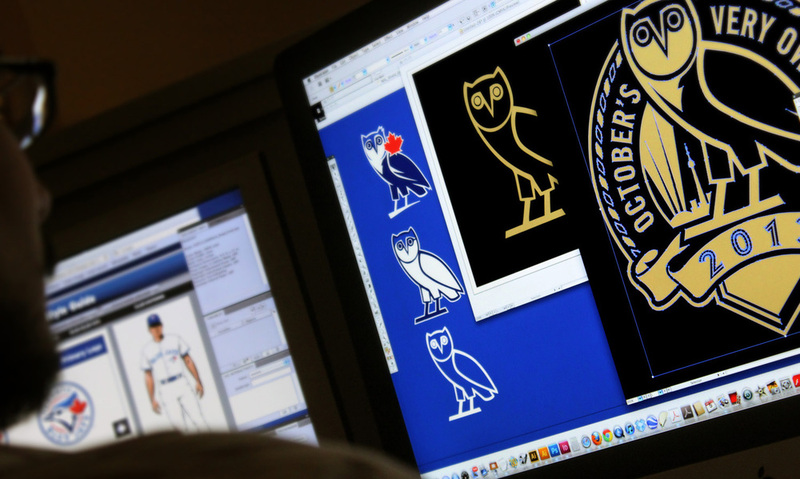 It was a honor to work with the most famous rapper in the world, Drake, and his team to create one of the "hippest" projects we've ever worked on -- the exclusive co-branded Toronto Blue Jays cap created special for OVO Fest 2013. The hat is available now at OctobersVeryOwn.com. Best of luck to Drake and OVO with the launch of his new album this fall! A possible Grammy repeat in the making? Bill and the crew vet emblem concepts for second round development. Custom Gold and Black Cap refinement. Spring 2013. October's Very Own custom emblem final touches before release.